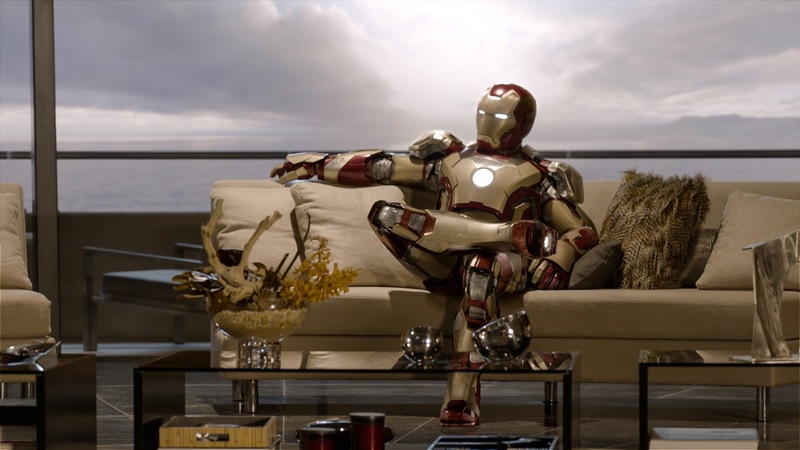 Following the fever dream of comic geekery meets worldwide appeal that was 2012’s The Avengers, Marvel Studios is now back to producing a standalone feature for the star that kicked it all off – Iron Man. 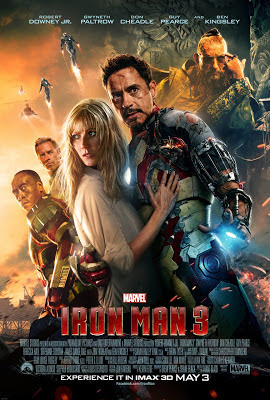 Taking a step away from his super friends, Iron Man 3 is refreshing in how it does not need to try and work in a grander plot in order to set up films down the line, in the way that made Iron Man 2 suffer. Instead, this is a story that tests all of Tony Stark’s abilities, beyond just having a protective suit of armor. It certainly works as a grand summer spectacle and the re-teaming of Robert Downey Jr. and writer/director Shane Black (Kiss Kiss Bang Bang) certainly makes for a highly entertaining experience. The real question is whether or not this third entry is really able to balance all that it tries to throw at the audience. For now, I would say that it at least does it better than many other third entries in superhero film franchises, but this time around does feel a lot like having a new and improved model of the Iron Man suit on the same sort of material. Iron Man 3 begins with our roguish hero Tony Stark (Robert Downey Jr.) delving into his past to introduce us to some people that will be important later, before catching us up with where he is at now. 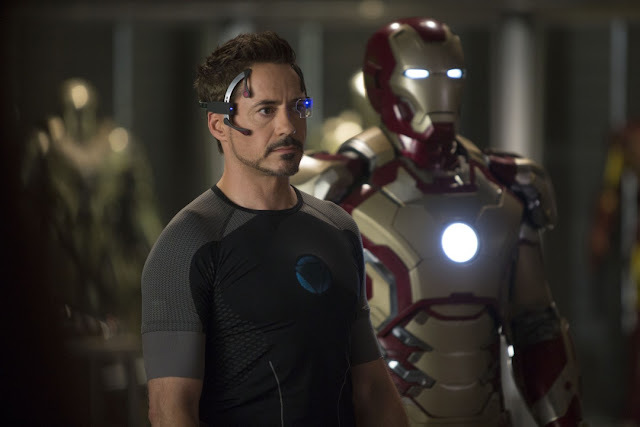 Following the events of The Avengers, Stark is seemingly busier and more isolated than ever. He is spending all of his time developing new ways to keep himself in the armor suit that he believes to give him the power he needs. A wave of bombings launched by an international terrorist known as the Mandarin (Ben Kingsley) eventually makes things quite personal for Tony, who does his best to threaten back, only to find himself backed against a wall and with none of his usual tools at his disposal. In order to stop the Mandarin and anyone else involved in these terrorist acts or making Tony’s life miserable, he must now rely on his smarts to power him back up. 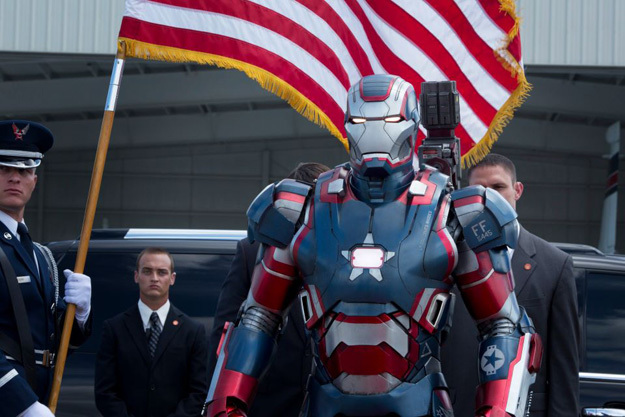 The film also stars returning players Gwyneth Paltrow as Pepper Potts, Tony’s girlfriend and the head of Stark Industries; and Don Cheadle as Col. James Rhodes, Tony’s best friend and operator of the other armored suit known as War Machine Iron Patriot. New additions include Rebecca Hall as one of Tony’s past flames, who has also designed a way for damaged organisms to repair themselves; and Guy Pearce as Aldrich Killian, a scientist who has created something known as Extremis, which has the power to both create and destroy. Stepping up to the director’s chair this time around is Shane Black (who also co-wrote), the man responsible for writing and re-writing many successful action screenplays from the 80s and early 90s (Lethal Weapon comes to mind), as well as bringing in his sharp sense of humor to his various projects. That seems very clear here, as anyone who is familiar with Black’s past work could easily spot where his sensibilities are now latching themselves onto a superhero film. With that said, Black also makes a pretty good case for himself as an action director. 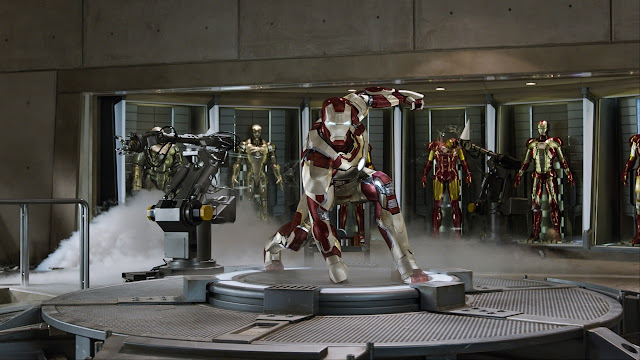 While he surely had other units work on developing and filming the large scale action sequences, the film does deliver quite well in the action department, creating a lot of inventive ways for Stark to face off against his foes, whether or not he is being aided by his suit or at least pieces of it. In terms of blockbuster filmmaking, I was pretty satisfied with how Black handled things, just as how Joss Whedon managed to do a ton of good with The Avengers. One of the key concepts for this film was to get Tony back to his roots. As producer Kevin Feige has described in the past, the first film dealt with Tony getting himself out of an impossible situation by building something in the desert, with scraps. This time around, the film does manage to make some of Tony’s situations seem quite dire. While his health is not failing like in Iron Man 2, he does have a lot of mental duress from his experiences at the climax of Avengers that give you an idea of where his head is at. Combined with a deadly threat the forces him into unfamiliar territory, with only his wits at his disposal, I did enjoy how this film managed to play with what Tony would actually be able to do on his own again. Still, given all the characters to contend with, Stark’s engaging personality, even as he deals with his issues, can only take you so far. My biggest critical note about this film may be its lack of AC/DC on the film’s soundtrack. 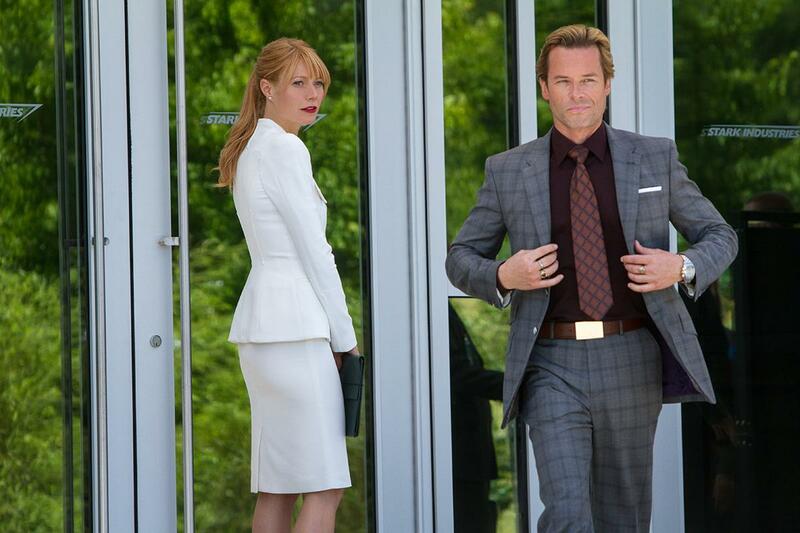 I am kind of joking about this, but at the same time, Iron Man 3 does have to face up to its identity crisis. The previous films were both directed by Jon Favreau, who does still return as Happy Hogan. All three films have different credited writers. And the series has also been scored by three different composers (four if you count Avengers). The point I am aiming at hear is that the Iron Man series, beyond the characters, seems to be lacking a uniting thread that could put in on par with Nolan’s Dark Knight Trilogy for example. I find that important because I left the film feeling more like I got to see a new (and exciting) spectacle film, rather than one that really felt significant. Yes, this chapter in the Iron Man film series brings a certain level of closure to the character, but the story tries to land a lot of elements and not all of them stick. That could be due to its scripting, but it could also be a factor of a new group of people making this film their own. This is not always a bad thing, but c’mon…no AC/DC? Creating a fitting villain is always important in these superhero films and to Iron Man 3’s credit, he is not just facing off against a new, bigger Iron Man this time around. The story provides us with a villain that actually feels like a threat, given certain actions that are taken, but I do not want to say more, in an effort to preserve spoilers. Instead, I will just reflect on the portrayal of said characters, namely Ben Kingsley (since we all know he’s at least one of the threats), and how I was disappointed in his handling as the Mandarin. It is not at all about what the film does with the character versus the comics, but more in how reveals about him left me underwhelmed. All else I can say about the villain plot in general, is that I found there to be more questions in my mind concerning motivation and overall goal than satisfying answers. The story for this film really does try to accomplish a lot. We are not really dealing with a ton of characters, but there were points where the film’s energy could not quite overtake the leaps taken to make sure everyone was still involved. As a result, Pepper, for example, does not get a ton to do (and that’s a shame, as Iron Man seems to be the only time people enjoy seeing her these days), and Rhodey (a comic character I love) is relegated to being more comic relief than anything. It also does not help that certain plot beats felt really telegraphed, given some casting choices and basic superhero movie logic. Iron Man 3’s greatest asset continues to be Robert Downey Jr., who brings so much charm to the role he seems to have been born to play. While one can argue how much more grounded this film is than the others (I would say it is the most comic booky of the three), Downey Jr. does know how to make the character work for an audience. Given that we are dealing with terrorist attacks, it is a large credit to Downey Jr. and Black that they handle the tone of the film so well. The movie has its share of drama, but it is really funny as well. A large sequence of the film revolves around Tony, on his own being Batman doing detective work and he is aided by a tech savvy child. The dialogue between the two is pretty fantastic, full of Black witticisms, and a further example of how the Stark character is just as entertaining without his armor on. That said, while some of the characters were not necessarily handled the best, the verbal sparring between everyone, which remains a highlight of the series for me, is incredibly delightful to watch. 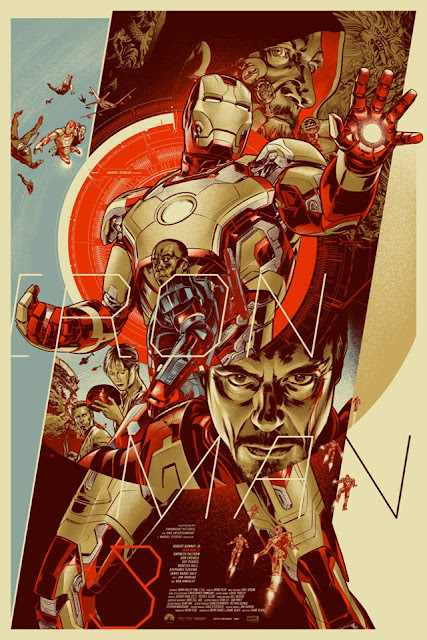 It is fitting that this is an Iron Man film, as the very concept echoes a lot of what I felt about the film. On its surface, there is a lot to enjoy about all that this film has to offer. 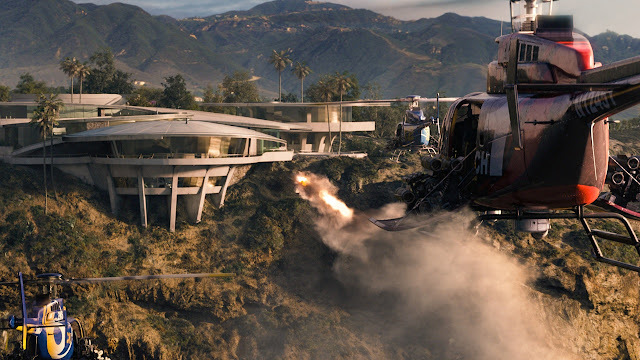 It looks great, the action has an appropriate scale to establish stakes, the film features a great cast, and it will probably stand as the funniest action blockbusters of the year. 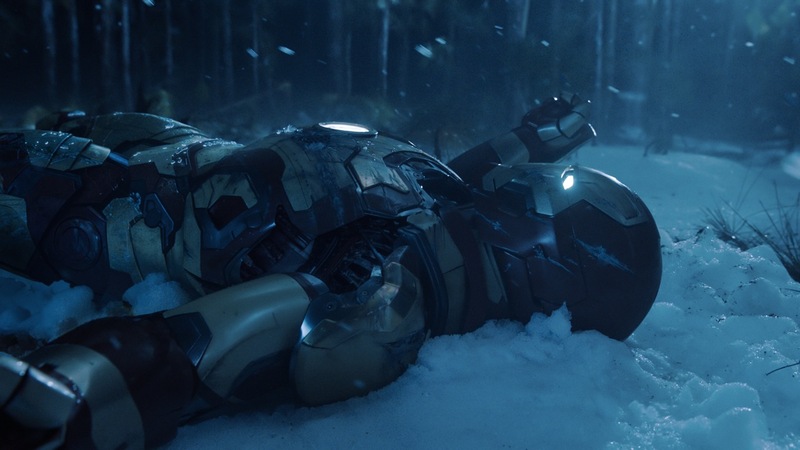 Yet, underneath the armor, just like Stark, the film has its share of problems that mainly revolve around the plotting, some murky motivations, and at least one character that was not particularly well handled. So it really comes down to how much the outer sheen of the armor, i.e. the general entertainment value of the film, really plays for the audience. 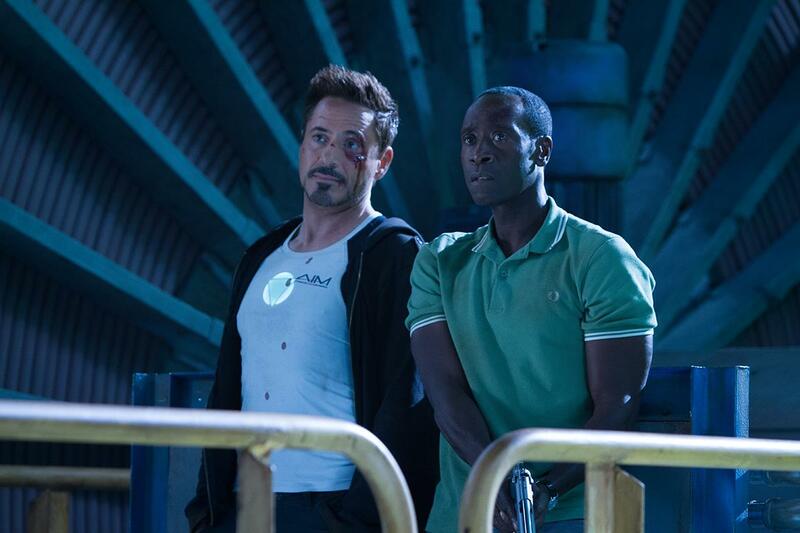 I certainly had a lot of fun with the film and it is hard to resist the charms of Downey Jr. There may be a couple previous films in the Marvel Cinematic Universe that outshine Iron Man 3, but it is still an easy recommendation to catch on the big screen.